When will be MythBusters: The Search next episode air date? Is MythBusters: The Search renewed or cancelled? Where to countdown MythBusters: The Search air dates? 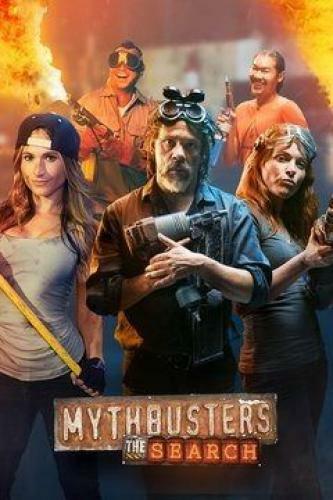 Is MythBusters: The Search worth watching? Science Channel is searching for an all-new generation of myth-busting science super stars with mind-blowing build skills and nerves of steel. Using social media and spectacular stunts, MythBusters: The Search will feature a cast of fearless hopefuls who will be judged on their skills as they compete in never before seen myth-busting challenges. The remaining contestants tackle the two most difficult myths yet: a water heater rocket and a walking-on-water challenge. In this explosive live grand finale, we reveal the winners of our search for the next MythBusters. MythBusters: The Search next episode air date provides TVMaze for you. EpisoDate.com is your TV show guide to Countdown MythBusters: The Search Episode Air Dates and to stay in touch with MythBusters: The Search next episode Air Date and your others favorite TV Shows. Add the shows you like to a "Watchlist" and let the site take it from there.